Today's phrasal verb lesson is about the verb "split up." Do You "Mix Things Up" Easily? Today we have a very practical, everyday phrasal verb that you must know if you want to speak with native English speakers. Today we are going to talk about the verb "brush up." Today's phrasal verb is "chip in." "Run Out" Versus "Run Up": What's the Difference? Here's a great phrasal verb question that you are probably asking yourself: What is the difference between "run out" and "run up"? What Time Do You Usually "Turn In" at Night? 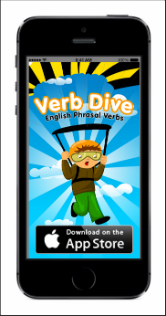 Today's phrasal verb is a great one!